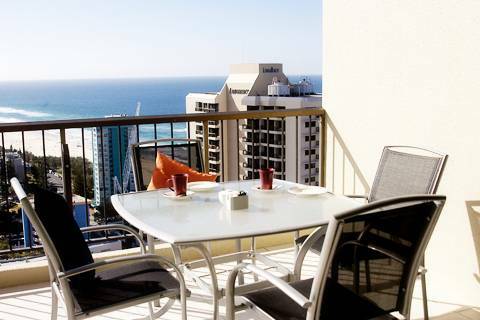 Our Gold Coast student accommodation can’t be beaten on price, location or quality. 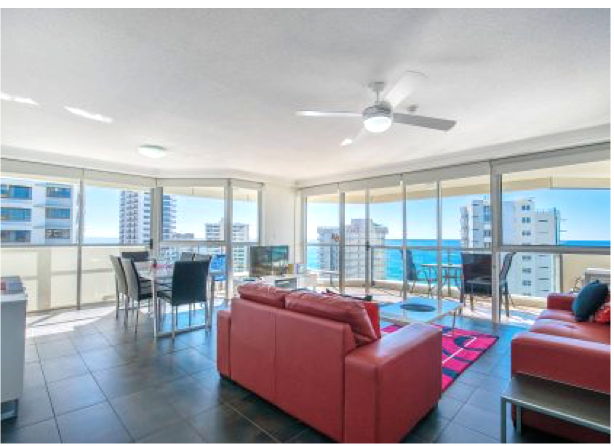 Semester in Australia can not only take the hassle out of finding you a place to live. 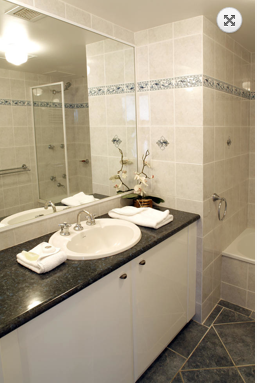 We have 2-bedroom premium apartments in two different apartment complexes on Enderley Avenue (ideally located across the street from each other). 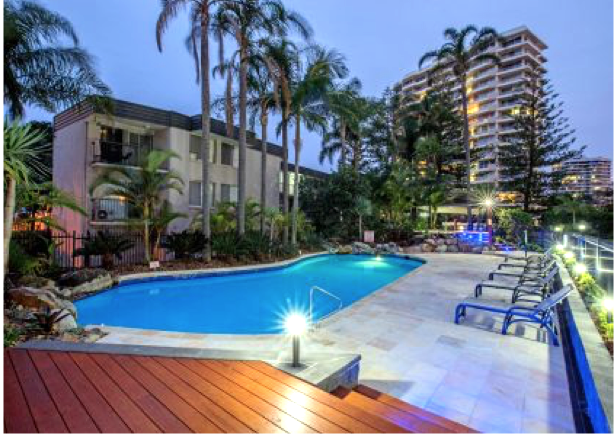 The apartment complexes are situated in a highly sought-after location just a street back from the famous Surfers Paradise beaches. 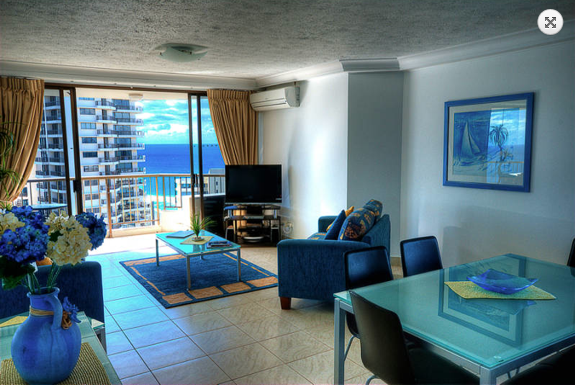 They’re modern and comfortable with gorgeous garden or beach views from nearly every room. 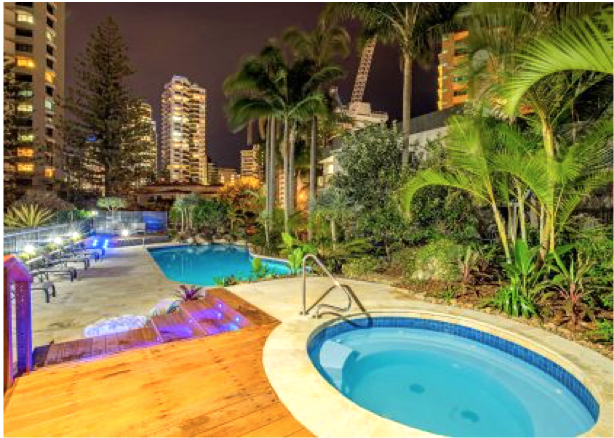 Students love the fact they are living so close to everything Surfers Paradise has to offer, from shopping and restaurants to the popular nightlife, and just a block to the beach. It’s a great place to spend your Semester! 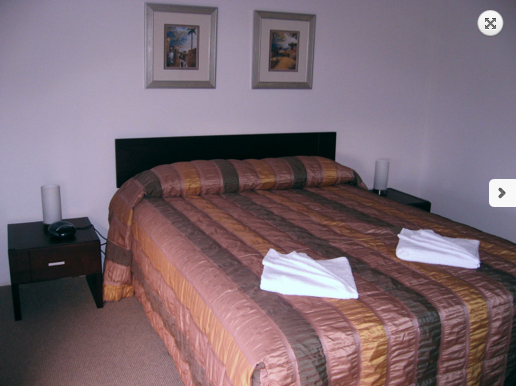 Single rooms or Share rooms (Share rooms have two single beds, sharing with a student of the same gender or for couples) are available. 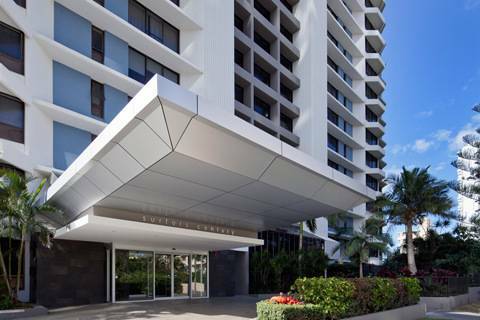 If you and a friend would like to share a room in our Gold Coast student apartments, simply let us know. If you don't have someone to share with, we can also try and place you with another student of the same gender who is looking to room share. While we’re trying to find you a roommate, you’ll be offered a single room at the higher rate. We’ll place you on a wait list and when another student requests a Share room, we will notify you. Feel free to contact us if you have any questions regarding this. 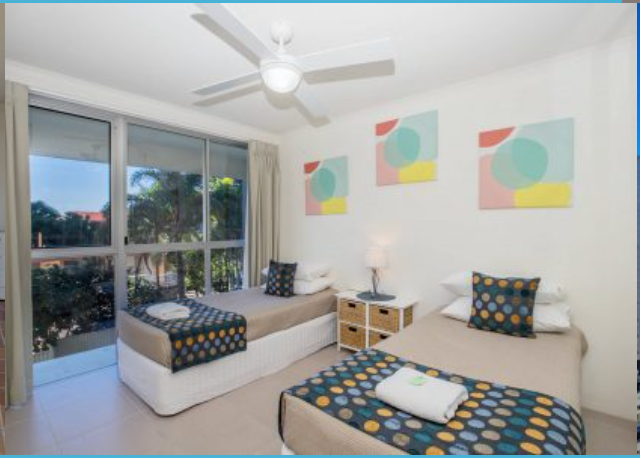 Two-bedroom, two-bathroom apartment sharing with one to three other students (maximum occupancy 4 students per apartment). Single bedroom with a bed and a wardrobe (although we only place students in our housing, the bedrooms will not be equipped with a study desk and chair. Please ask if you have any questions/concerns about this). Share bedroom with two Single beds and wardrobe (although we only place students in our housing, bedrooms are not equipped with a study desk and chair. Please ask if you have any questions/concerns about this). 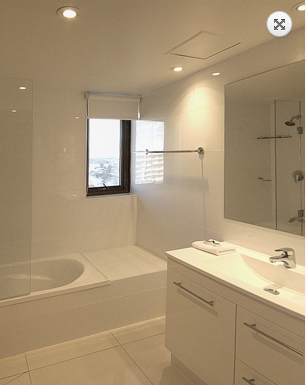 Please note: We cannot guarantee the floor level you will be placed on or the type of view you will have. 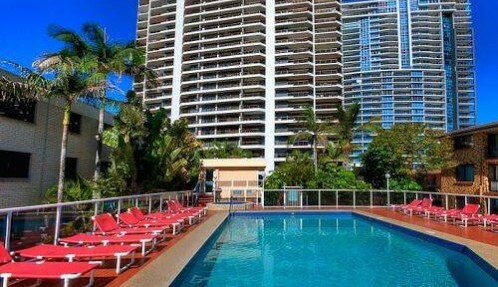 The fee is the same regardless, as the fee reflects the location of the apartment complex (a highly sought after location just one block from the beach, with easy access to the center of Surfers Paradise! ), not the location/floor of the individual apartment. 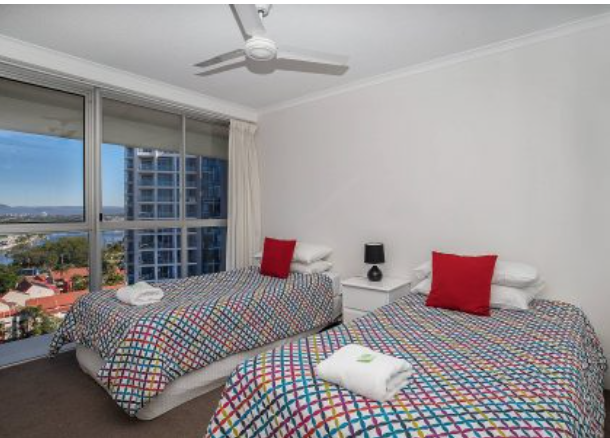 * A Shared Room has two single beds, sharing the bedroom with another student of the same gender OR for a couple. The Housing Fee is listed per student, per Trimester (typically February - mid June, June - mid-October. 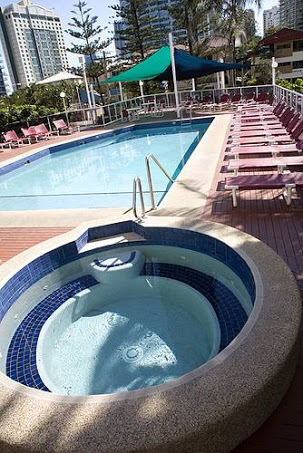 Specific lease dates will be outlined in your confirmation email upon booking).